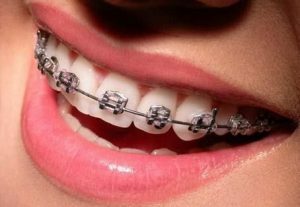 Orthodontic treatment specializes in correction of position and proportion of teeth and jaw by using ortodontic appliances that can be eather fixed or active/removable. The position of tje jawbone and optimal formation of teeth make a healthy mechanism that can be maintained with adequate and proper oral hygiene of mouth and teeth. This branch of dentistry corrects the relation between teeth and jawbone, optimizes the position of teeth that can therefore be a solution for the dental problems such as pain in the jawbone. There are no restrictions regarding the age of the patient. People of all ages can have the ortodontic appliance set with goal to take care of functional and aesthetic problems.